The left-side waste bunker from just off the tees all the way to the green requires a well-positioned drive favoring the right side of the fairway either short or beyond the strategically placed right side fairway bunker. Anything far left fairway is certain to find sand and a tree to negotiate for a shot to the green. 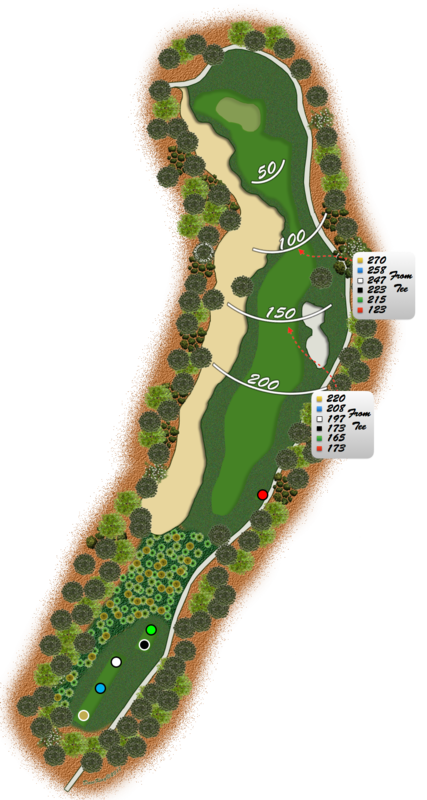 The fairway approach and green is generous for this relatively short par 4 although the ridge in the green can make for a difficult putt from the back.